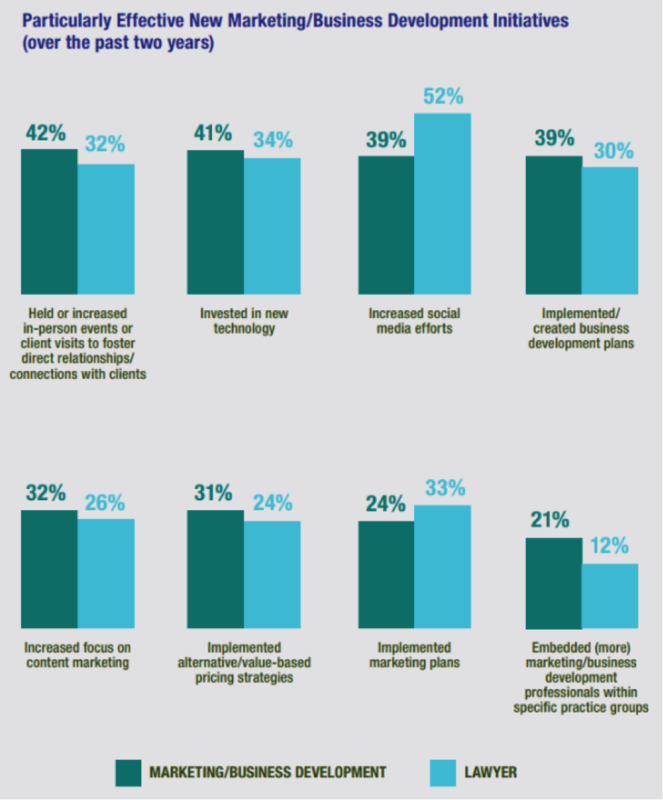 In a 2018 joint survey report from LMA and Bloomberg Law®, 62 percent of respondents said their firm is increasing its focus on marketing and business development. 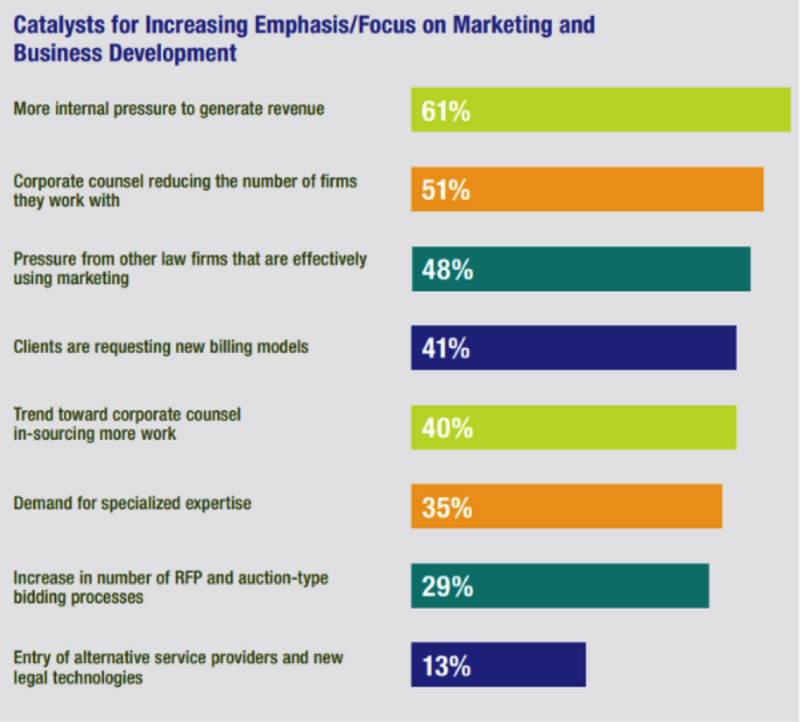 And 63 percent said they expect their firm to increase its marketing/business development budget over the next two years. An understanding of the catalysts for this increased investment, as well as which efforts thus far have proved effective, can help you prioritize and decide where to focus innovation efforts at your firm. See below for the responses from that survey that will help to guide this prioritization.